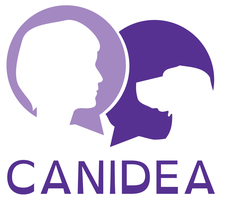 Founded in 2015, CANIDEA is the first organization to unite associations of various activities, including assisted activities, disability assistance, and alert around the theme of service dogs. The confederation was born from the will of its members to share good practices and to establish together standards of activities that will serve as a reference. CANIDEA offers its members support on regulatory issues in a context where the texts are not yet adapted and stabilized because of the novelty of the sector. The confederation implements a transfer of scientific and technical expertise, thanks to a high-quality scientific and technical council and a capacity to develop activity protocols in the form of recommendations. In addition, CANIDEA supports the experiments of the member associations because in a field where everything is still to be done, innovation can only emerge from renewed attempts. Download our information leaflet in English !